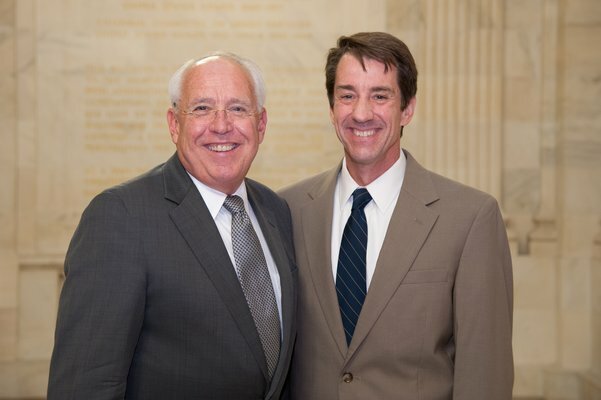 Reception highlights the health and economic benefits of NIH-funded research. 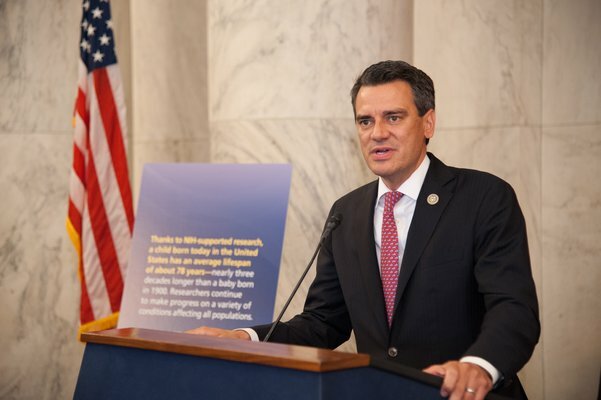 Federal investment in medical research and the biomedical research workforce is a national priority and the beginning of hope for patients suffering from serious illnesses like cancer, diabetes, Alzheimer’s disease, depression, and Parkinson’s disease. By far the largest source of federal research funding comes from the National Institutes of Health (NIH). Ongoing investment in the NIH results in returns many times over in better health and quality of life across the United States. Medical research also drives innovation, boosts local and regional economies, and bolsters U.S. global leadership in science and technology. The AAMC, in association with the Ad Hoc Group for Medical Research and other organizations from the patient, provider, scientific, and academic communities, held a Capitol Hill Reception in the Kennedy Caucus Room on June 20 to celebrate the life-saving achievements in biomedical innovation supported by the NIH and to thank Members of Congress for their meaningful, sustained commitment to the NIH. More than 200 people attended, including institute and center directors, representatives from research-focused organizations, congressional staff, and members of the press. "Hope attaches to action. Without action there is no hope. We are all about that action at NIH." 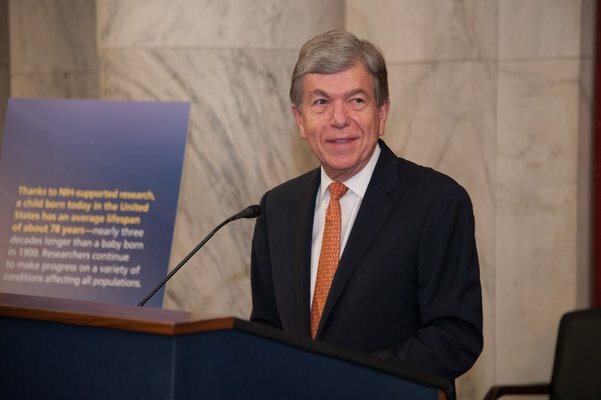 Speakers included congressional champions Senate Labor, Health and Human Services, Education, and Related Agencies (Labor-HHS) Appropriations Chair Roy Blunt (R-Mo. 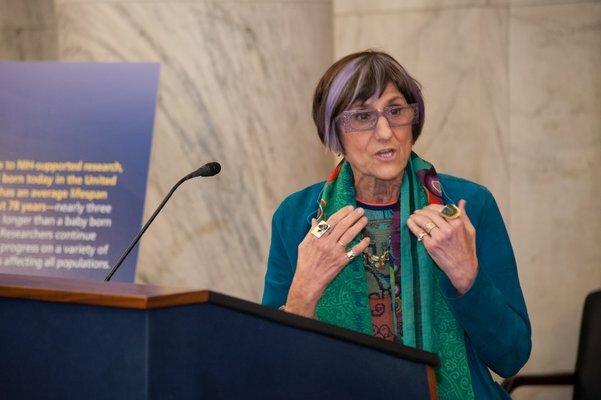 ), House Labor-HHS Appropriations Ranking Member Rosa DeLauro (D-Conn.), Rep. Kevin Yoder (R-Kan.), and NIH Director Francis Collins, MD, PhD. 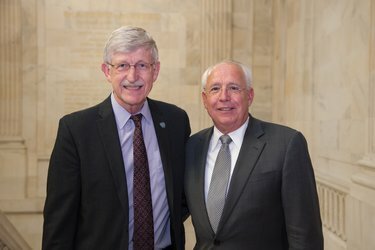 AAMC President and CEO Darrell G. Kirch, MD, served as master of ceremonies.